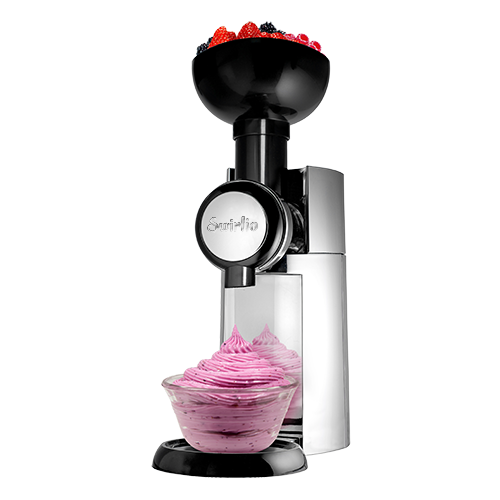 Enjoy delicious & healthy homemade frozen dessert made from 100% fruit & your favorite toppings! 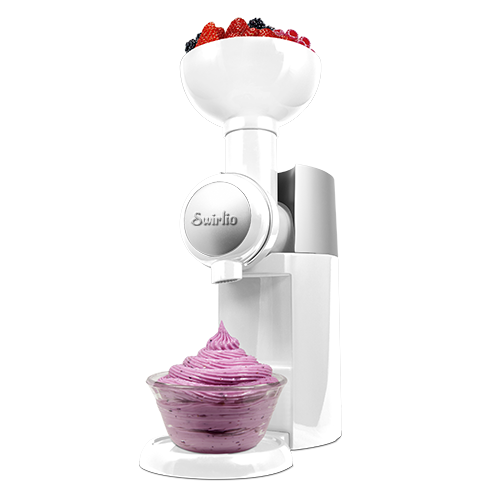 The Big Boss™ Swirlio makes your favorite fruits into a soft serve frozen dessert in seconds! Peel, cut and freeze the fruits — insert them into the chute and voilà, a delicious and healthy dessert is served! Use only the ingredients you consider best for you and your whole family. Make from 100% Fruit & Your Favorite Toppings! BIG BOSS™ SWIRLIO™ Item No.